In 1980 she finishes her studies of physiotherapy in the University Justus Liebig (Germany)and from that moment, she devotes herself to neurology. 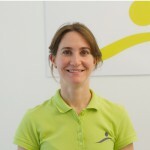 Her training in the Bobath concept started in 1981 with Patricia Davies (Bad Ragaz, Switzerland) and continued with the advanced course with Drs, Berta and Karel Bobath. She was given the Bobath Tutor degree in 1986 by Patricia Davies. She continued her training as advanced tutor with Patricia Shelley (United Kingdom), Anne-Marie Boyle, Frauke Biewald and Jürgen Grete (Germany), Mary Lynch-Ellerington (Germany and Spain). She was awarded the advanced tutor degree in 1986 by Mary Lynch-Ellerington. 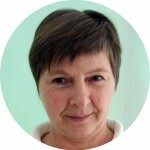 In 2002 she has been qualified Bobath Senior Tutor. 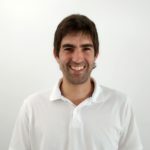 She studied with tutors Mary Lynch-Ellerington (United Kingdom), Frauke Biewald (Germany), Jürgen Grete (Germany), Anne-Marie Boyle (Switzerland), Louise Rutz-LaPitz (Switzerland), Nora Kern (Germany) and Elia Panturin (Israel), in order to widen her knowledge and to have influences from different countries. 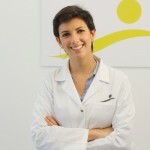 In 1996 she was one of the founding members of the Spanish Association of Bobath Therapists and she founded the so-called “Attendees Group” in the same year. She also took part in the publication of the book “Neurorehabilitation in Multiple Sclerosis” (2007) and other books in German. Her training is mainly in the Bobath concept in adults. Nevertheless, she attended the Bobath couse for children affected by cerebral palsy in the Bobath Centre in London (United Kingdom), the Vojta therapy, Kabat, Brunkow, Functional Kinesitherapy (Klein Vogelbach), Motor Control/Motor Learning (Carr, Shepherd), Halliwick (McMillan), Schaarschuch-Haase, Maitland and Neurodinamics in order to have means and strategies of treatment for patients needing other techniques than Bobath’s. 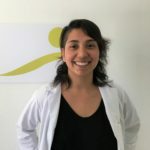 Since 24 years ago, she gives courses of the Bobath concept: Introduction course, Normal movement, Basic course of Examination and Treatment of adults with neurological disorders and different advancd courses in Spain, Germany, Switzerland, Portugal, Croatia, Poland,Argentina and Chili. 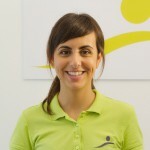 At present she is consultant in our Rehabilitation Clinic, that she herself founded in 1994. 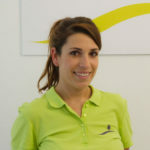 She is teacher in the Physiotherapy University School Gimbernat (UAB, Barcelona, Spain) and participates frequently in different symposia and congresses, both National and International.